There is a movement to help save persecuted Christians using Economic Weapons. The model for this is the “Save Soviet Jewry” movement which amazingly helped us win the Cold War. Basically, the Save Persecuted Christians movement is pushing for the withdrawal of American economic support from regimes that persecute believers in Jesus. At the present moment, Christians are the most persecuted religious group on earth. 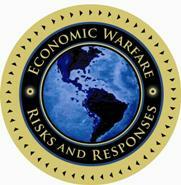 The current episode of the Economic War Room features this movement. You can see a clip of the episode on YouTube. Fighting for Soviet Jews brought great long-term economic benefit. Perhaps standing for Christians might likewise bring blessing? Of course, there are weapons more powerful than the economic ones (that we should be using as well). So as we close out 2018 and prepare for a New Year, let’s take a moment and use the weapon of prayer on behalf of persecuted Christians around the world. Then, lets push for the use of economic weapons also. To learn more, visit: SavethePersecutedChristians.org. Previous post: Market Terminator at Work?